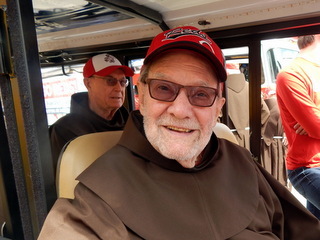 On this mild spring day, perfect for a parade, they don baseball caps and head west, passing food vendors, miniature ponies and bands warming up on flatbed trucks. 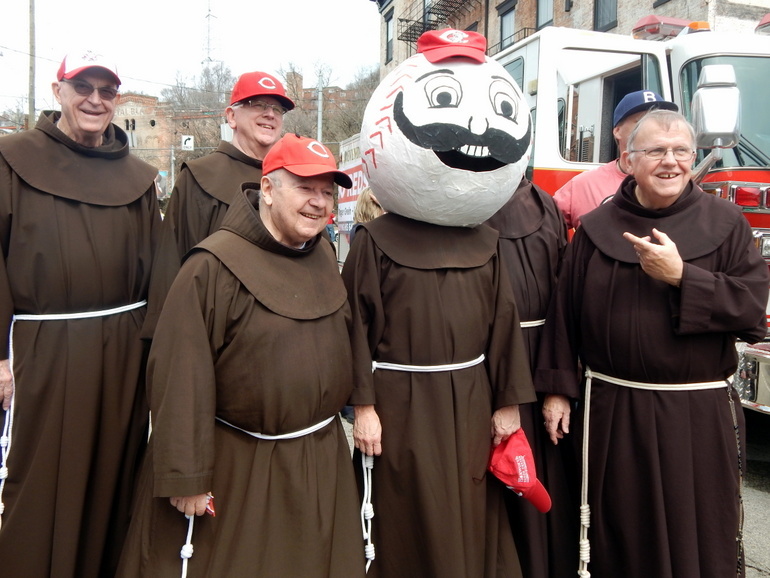 A red-wigged clown named Barrels dances up to Fr.Tom Speier. “How are you?” Tom asks politely, extending his hand to the white-gloved performer. Steps away, someone in a gorilla suit jogs past Fr. Fred Link. Fr. 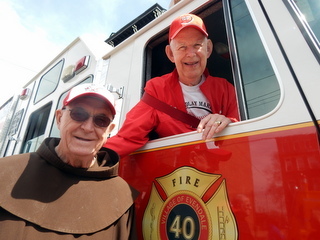 John Bok greets philanthropist Roger Grein, who’s sitting in the passenger seat of the Evendale fire truck. 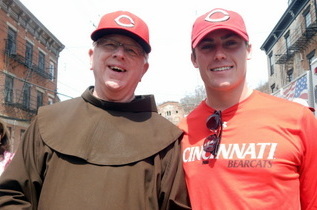 Roger, who will today attend his 64th consecutive Opening Day game, says John’s dad used to handle his family’s taxes. The truck’s proximity is helpful. 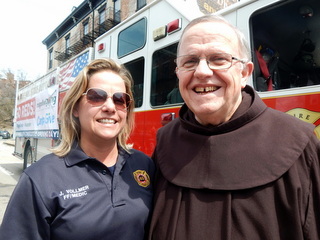 When a friar trips and falls, cutting his cheek and chin on the pavement, they rummage through emergency supplies for a bandage. 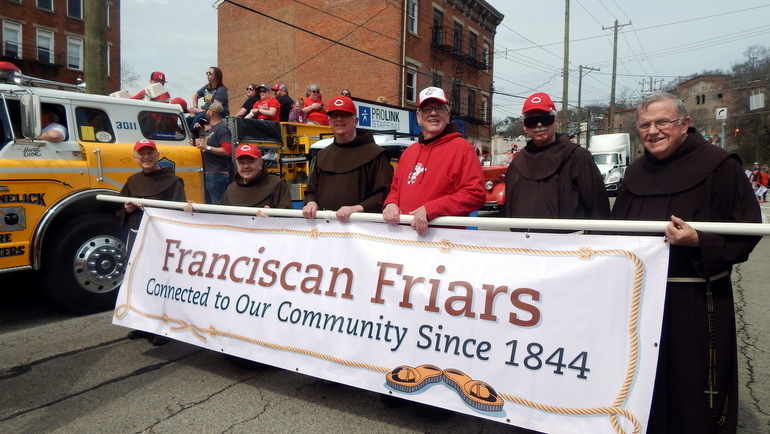 When they get the signal to march, Colleen helps friars assemble the pole for the vinyl sign they will carry. 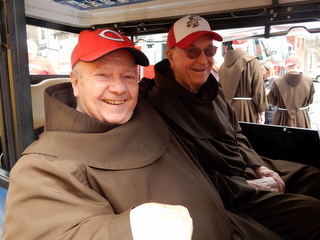 Watch the parade interviews on our Youtube page We Are Franciscans.